Looking for pet friendly and stain resilient carpet? Find out what the best carpet options are at Marett Carpet One! What are the best carpet options for you and your family’s lifestyle? 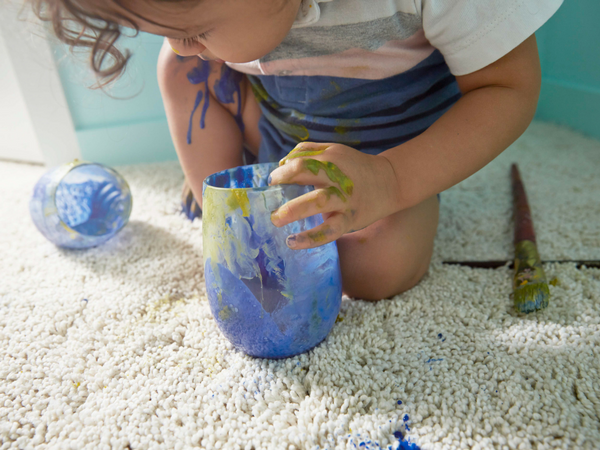 Whether you’ve got a household of pets or children, entertain frequently, or all of the above, Marett Carpet One Floor & Home has spill proof, kid proof, and pet proof carpets available. Lees is a well-known, reputable brand because of its unbeatable carpet and stain warranty. It’s extremely dense carpet backing provides 4x the protection from spills and stains 4x longer than traditional carpet! Comfort, style, and beauty all-in-one, Innovia Extreme Clean features extremely smooth fibers enabling carpet to prevent liquid penetration including pet stains! With three extensions, Soft Style, Cherish, and H20, Tigressa was made to fit all your needs. Tigressa offers superior performance and protection against soiling and stains so messes are easier to clean up. Here’s a tip: be prepared and check your carpet warranty! It will tell you what cleaning products are safe to use on your carpet for spills and messes. Rule of thumb – blot don’t rub. By gently blotting, you will soak up liquids but rubbing will only rub the stain deeper into the carpet. Prevent transferring ink or dirt in stained area on your carpet by using a clean fabric cloth towel or non-printed paper towels.